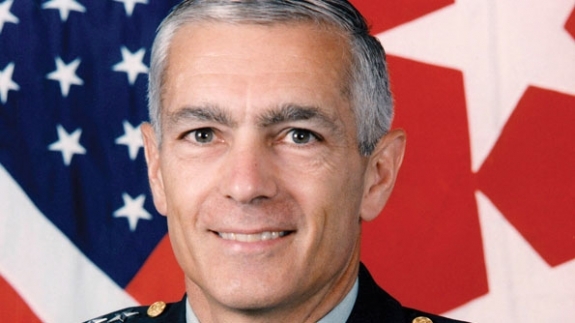 Gen. Wesley Clark speaks about U.S. security and strategies, including how interoperable communications play a crucial role in the battlefield and on the home front. Gen. Wesley Clark joins Associate Editor Mary Rose Roberts to speak about U.S. security and strategies, including how interoperable communications play a crucial role in the battlefield and on the home front. Gen. Clark spent 34 years in the U.S. Army and the Department of Defense, receiving several military decorations, honorary knighthoods and the Presidential Medal of Freedom. He commanded Operation Allied Force in Kosovo during his term as the Supreme Allied Commander Europe of NATO from 1997 to 2000 and now heads WesPAC, a lobbying group focused on U.S. security at home and abroad.